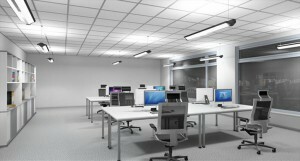 This type of automatic hands-off lighting management combines user comfort with optimizing energy consumption. Its basis is a passive infra-red sensor (PIR) reacting to the heat dissipated by moving persons in an area. Such sensors can be used in both indoor and outdoor application provided their sensitivity is dialled to the desired level. Their height is also important to the correct covering of a serviced area. If ideal coverage is desired, the scanned areas of different sensors should overlap slightly to provide continuous monitoring of the whole area. The basic premise of the presence detection for illumination purposes is to turn the lights on if and only if the room is occupied by a person and therefore lighting is actually needed. 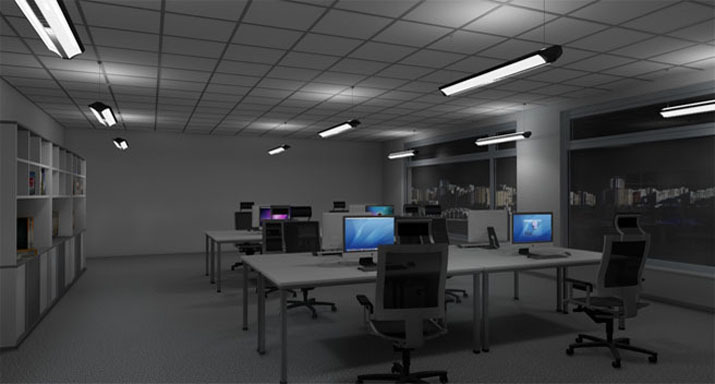 This type of automatic hands-off lighting management combines user comfort with optimizing energy consumption. Its basis is a passive infra-red sensor reacting to the heat dissipated by moving persons in an area. Such sensors can be used in both indoor and outdoor application provided their sensitivity is dialled to the desired level. Their height is also important to the correct covering of a serviced area. If ideal coverage is desired, the scanned areas of different sensors should overlap slightly to provide continuous monitoring of the whole area. 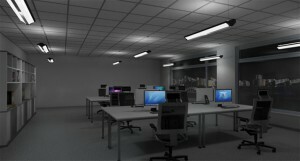 The traditional use is in the maintenance or access corridors which do not need to be illuminated continuously. In living areas simple motion detecting PIRs may not suffice – they may trigger the lighting when a person moves, but turn it off once the person remains still, which is not the desired effect e.g. for the living rooms. They also have to be mounted so they would not be triggered by possible strong sources of infra-red lighting, such as street lamps, air conditioning units or heating elements. Such false triggers of PIRs would defy the main purpose of presence detectors – optimizing the energy use by automatically turning the lights on or off without the necessary and often erroneous human interaction. 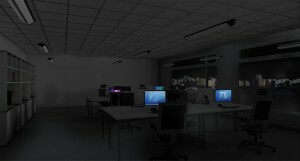 The total hands-off nature of presence detector is especially sensitive to incorrect set-up: when not installed correctly, it does not turn the light on when necessary, decreasing human comfort level in dark and often unfamiliar areas. In ideal situation the light has to turn on the moment a person enters detector-covered area and stay on as long as a person is present. In spaces where the scanning areas of PIRs may be obstructed by environmental elements a higher density of the detectors is required. The automatic illumination does not have to be a simple on/off operation. In certain cases a base level of illumination is required, e.g. ten percent of the total level, for basic orientation or functioning of security cameras. Light sources also last longer if they are not turned on and off often, but rather stay on all the time. Especially with modern, more expensive technologies the costs saved in this way can be substantial, outweighing the extra energy spent to keep them turned on at a base level. While the fluorescent bulbs can seem cheap to replace to take such considerations into account, the heat they produce can create negative external costs e.g. in higher consumption of industrial air conditioning, which has to funnel off excess heat created by less efficient light sources. On the other hand, even LED lamps can now be retrofitted to standard fluorescent luminaires, providing a new level of control of both light intensity and colour. Once a person enters a scanned area the full level of illumination is activated and can fade down gradually when a person leaves the area or it is turned down immediately. If the time of dimming is time-based the timer has to be set up to leave the lights on for long enough periods to provide a person with comfortable lighting level. The timers are thus usually less efficient than the lighting turned on or off by presence detectors itself, as they are set up to stay on longer than necessary. On the other hand, PIRs by their nature are passive and require almost no energy to operate, making them an extremely efficient element of a lighting system.